Platinum Care Pharmacy will take care of all your medication needs. We are locally owned with the backing of I.D.A, a national chain – so you can rest assured that all of our services are reliable. We are here to meet all of the pharmaceutical needs of the community at large. We also consistently make sure that our services and products are always of the highest quality, while making sure that it is still affordable for our customers. At Platinum Care Pharmacy, we will always make time for you. Whether you need medication therapy management, compounding services, daily in-home medication services by an LPN, or travel vaccination – we will always make sure to provide you with what you are looking for! You can trust Platinum Care Pharmacy to have your best interests at heart. 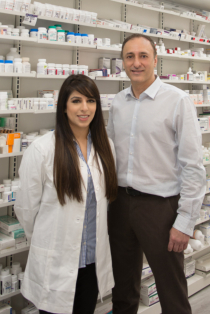 We are simply here to make sure that you are able to live a healthier, happier life by providing you with the pharmacy services that you need. If you want to know more, please don’t hesitate to give us a call at 604-385-0188.